The Honor 7X is the first phone in Honor’s X series to sport an 18:9 Full View display. It sports a 5.93-inch display with FHD+ resolution. It is powered by a HiSilicon Kirin 659 SoC and has 4GB of RAM onboard. It is available in 32GB and 64GB storage variants and both are expandable up to 256GB using a microSD card. It is a dual SIM device and has a Hybrid SIM slot comprising of two nano SIM slots. It sports a dual camera setup at the back comprising of a 16-megapixel sensor along with a 2-megapixel depth sensor. At the front, it has an 8-megapixel selfie shooter. It runs on EMUI 5.1 on top of Android Nougat. 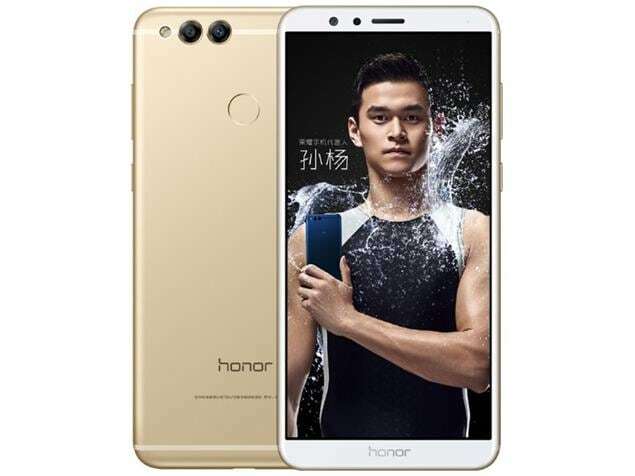 Honor 7X smartphone was launched in October 2017. The phone comes with a 5.93-inch touchscreen display with a resolution of 1080x2160 pixels and an aspect ratio of 18:9. Honor 7X is powered by an octa-core HiSilicon Kirin 659 processor that features 4 cores clocked at 2.36GHz and 4 cores clocked at 1.7GHz. It comes with 4GB of RAM. The Honor 7X runs Android 7.0 and is powered by a 3,340mAh non-removable battery. As far as the cameras are concerned, the Honor 7X on the rear packs a 16-megapixel primary camera with an f/2.2 aperture and a pixel size of 1.25-micron and a second 2-megapixel camera. The rear camera setup has phase detection autofocus. It sports a 8-megapixel camera on the front for selfies, with an f/2.0 aperture. The Honor 7X runs EMUI 5.1 based on Android 7.0 and packs 32GB of inbuilt storage that can be expanded via microSD card (up to 256GB). 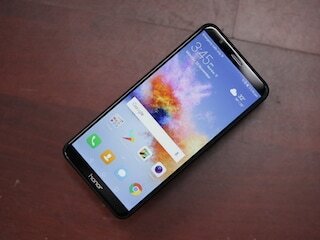 The Honor 7X is a dual-SIM (GSM and GSM) smartphone that accepts Nano-SIM and Nano-SIM cards. Connectivity options on the Honor 7X include Wi-Fi 802.11 b/g/n, GPS, Bluetooth v4.10, USB OTG, Micro-USB, FM radio, 3G, and 4G (with support for Band 40 used by some LTE networks in India). Sensors on the phone include accelerometer, ambient light sensor, compass/ magnetometer, gyroscope, proximity sensor, and fingerprint sensor. 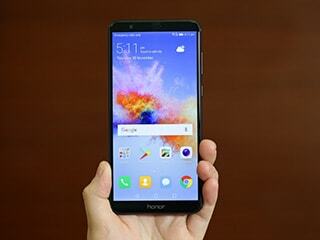 The Honor 7X measures 156.50 x 75.30 x 7.60mm (height x width x thickness) and weighs 165.00 grams. It was launched in Black, Blue, and Gold colours. 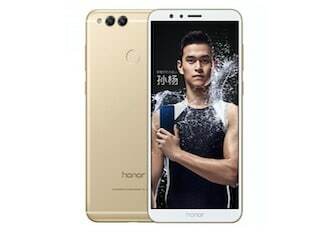 As of 22nd April 2019, Honor 7X price in India starts at Rs. 11,999.